It may take a while between issues of Draw!, but once they’re here, they sure are purty! And well worth the wait. Case in point: Check out the preview we just posted of Draw! 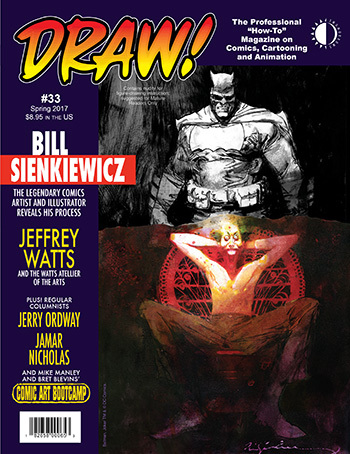 #33, which ships in April, and features the amazing Bill Sienkiewicz! This entry was posted in TNT on 16 February 2017 by Mr. Morrow.